Our mission is to produce non-transgenic, regulatory free, sustainable, consumer oriented genome edited plant products. 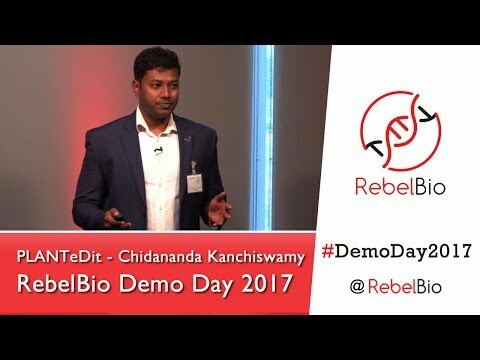 PLANTeDIT is the first biotech company dedicated to use patented next generation genome editing tools CRISPR/Cas9 RNPs® from our key collaborator Toolgen (http://toolgen.com/?lang=en) with our transformation technology for efficient direct delivery and swift regeneration of genome edited plants. Our mission is also to revolutionize plant transformation technology with our innovative, universal, cost effective, swift transformation system applicable to broad a range of crop species for direct delivery of genome editing tools. Further, PLANTeDIT aims to develop highly pure mammalian protein and human drugs at cost effective price using genome edited plant platform. Please tell us a little bit about yourself and why you'd like to connect. Plantedit + SOSV will follow up with you via email.